Neither sleet nor snow ...A postal carrier proves the U.S. 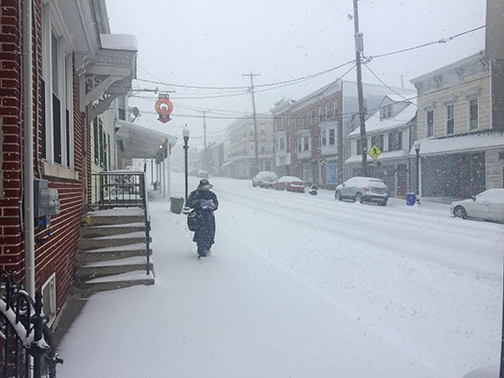 Postal Service’s motto true as he makes his appointed rounds through a steady, heavy snow that blankets South Baltimore Street, Dillsburg Borough, Wednesday morning. Schools, businesses and the County of York closed. According the Accuweather, more than 200 million Americans, roughly 60 percent of the population of the United States, were impacted by this major storm that hit every state east of the Mississippi River. 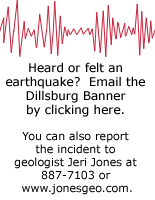 More than six inches of snow had fallen in the Dillsburg area by noon, before an expected changeover to sleet and rain. At their February meeting, council authorized their new codes enforcement company, Land and Sea Services, to examine the property in the hopes of finding a viable solution. Attempts to address the health and safety concerns with the property over the past years—including the borough mowing and weed-whacking the property then sending the owner the bill and threatening fines—have not worked. In other business, parking restrictions on South Street were addressed. Council was sure that the developer for the new townhouses was to erect “no parking” signs on his side to the road, but some on the other side seem to be missing, according to Mayor Jim Adams. Borough Solicitor James Robinson was asked to research the ordinance to clarify the no parking zones. The 150th Anniversary of the borough incorporation will be April 1. Plans to commemorate the occasion will be rolled into the plans for the yearly yard sale held in the Archie Hess Memorial Park during the summer months. Head swimming and diving coach Bill Resser aptly called Northern’s performance and hosting of last weekend’s Mid Penn Polar Plunge with one word: Epic. 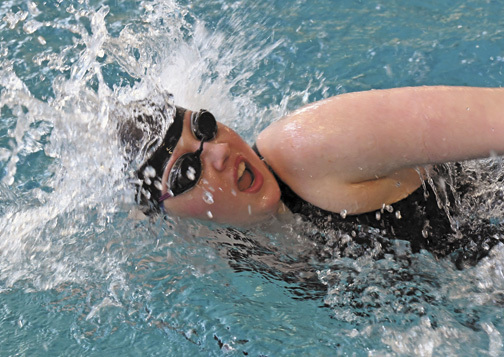 With the help and support of parents, boosters, assistant coaches, other swim team members, and Northern administration, the now two-day event provided competition for 360 swimmers. The 2019 Mid Penn Polar Plunge was truly a grand success. Epic. And the highlights in the pool were further proof, if any was needed: Including 80 Career Best Times which set a new Plunge record with Career Bests in 80 of 98 swims, equaling 81 percent, 18 Medal Winning Performances - another Plunge record, the Boys Team finished in 6th Place overall and 5th Place among AA teams, and the Girls Team finished in 2nd Place overall and was the top scoring AA team. For more information see the February 21, 2019 edition.